The Green Girl was really looking forward to joining the Sole Runners today after missing all of last month's Saturday morning runs. 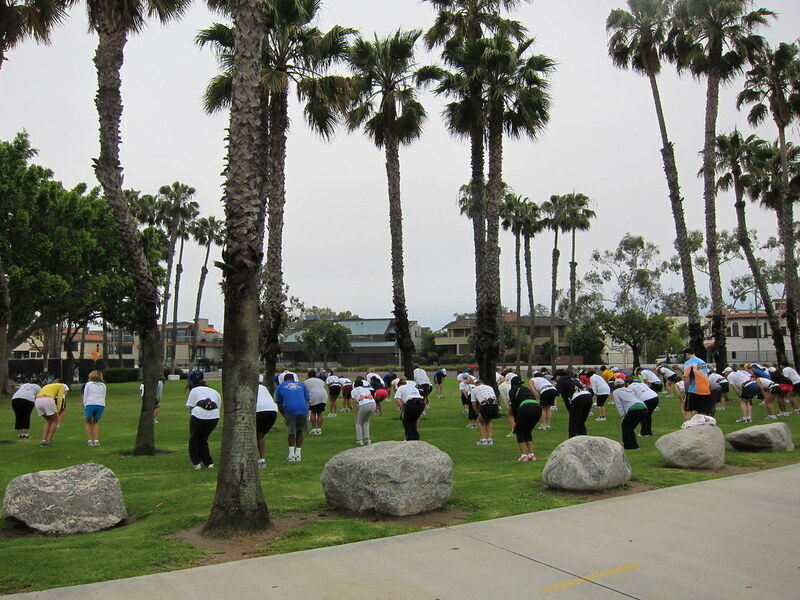 I arrived at Marina Vista Park as Coach Steve was going over the Sole Runner updates. Before we started doing our body looseners, Coach Steve called another Sole Runner, Brandon, and me up in front to announce to the group that we had become sponsored athletes. Brandon is a member of Team Marathon and I am, of course, a member of Team Jamba Juice. The Sole Runners cheered for us and Brandon declared he had Marathon Bars for everyone. I let them know although I didn't have any Jamba Juices for them, I did have $1 off coupons. 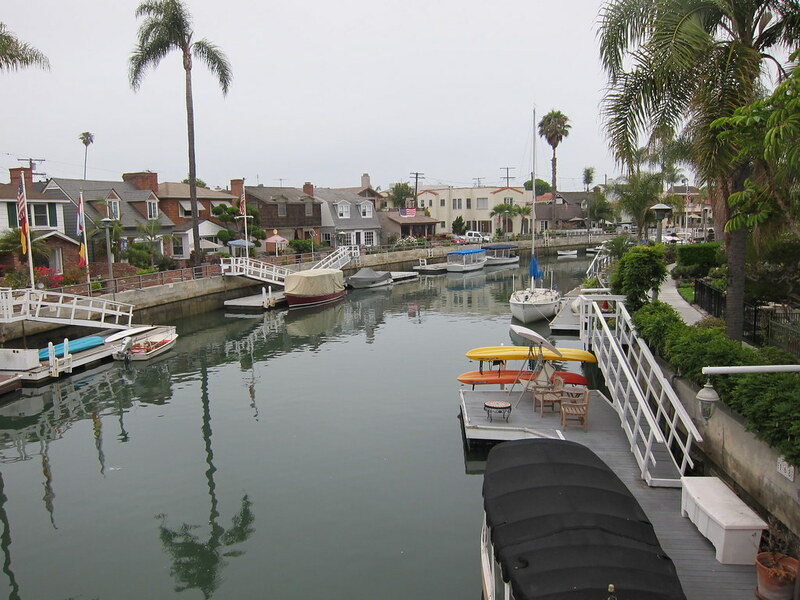 We set off on our usual route through Alamitos Bay towards Naples. I took it really easy today because I've been sick all week and I want to be as healthy as possible for the All-Star Charity 5k tomorrow morning. 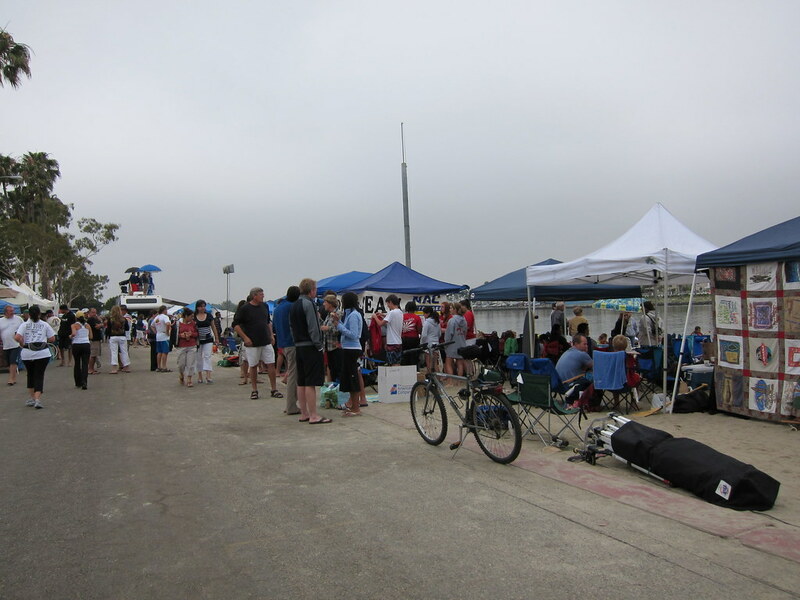 Marine Stadium was filled with Hawaiian-themed booths for the Kahakai Outrigger Canoe Club's 2010 Kahakai Sprints. 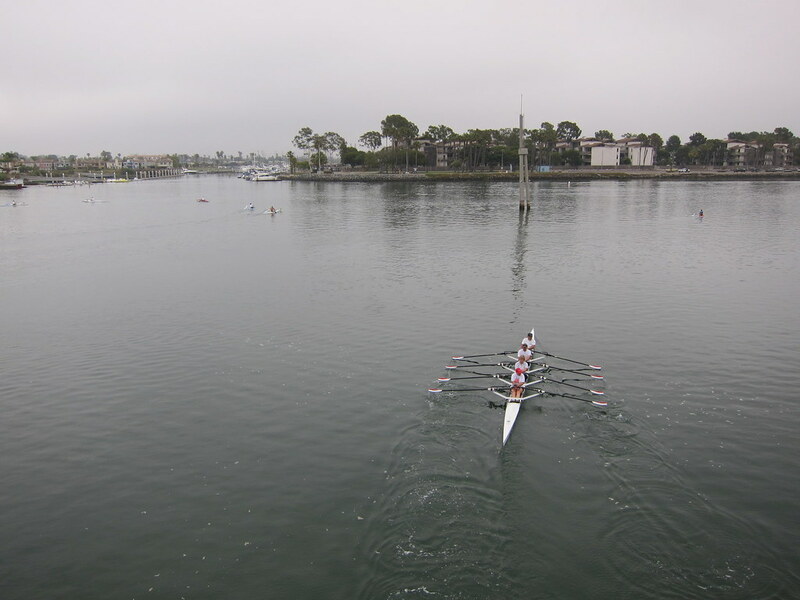 Clubs and individuals in various classes from throughout California and the western U.S. were competing in six-person, two-person and individual outrigger canoes, on a 500-meter straightaway course. Outriggers are a type of canoe featuring one or more lateral support floats known as outriggers, which are fastened to one or both sides of the main hull. We stopped to watch some of the individuals and one of the girls flipped her outrigger and ended up in the water. 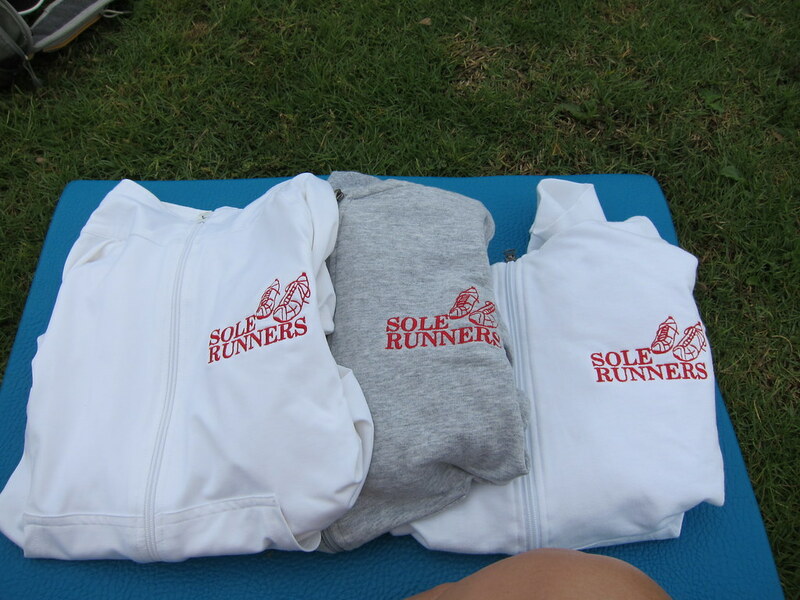 As I was doing the post-run yoga, one of the mentors brought over my Sole Runners embroidered jacket and hoodies. Our coach gives us the option to bring our own clothing and we can get the Sole Runners logo added to just about anything for only $5. I'm so glad I now have some warmer clothing options featuring our group logo. Hoping the 5K goes awesome for you today! Love the Sole runners stuff! Thank you so much, Caratunk Girl!